We propose and study a new minimal model for two-component dark matter. The model contains only three additional fields, one fermion and two scalars, all singlets under the Standard Model gauge group. Two of these fields, one fermion and one scalar, are odd under a Z 2 symmetry that renders them simultaneously stable. Thus, both particles contribute to the observed dark matter density. This model resembles the union of the singlet scalar and the singlet fermionic models but it contains some new features of its own. We analyze in some detail its dark matter phenomenology. Regarding the relic density, the main novelty is the possible annihilation of one dark matter particle into the other, which can affect the predicted relic density in a significant way. Regarding dark matter detection, we identify a new contribution that can lead either to an enhancement or to a suppression of the spin-independent cross section for the scalar dark matter particle. Finally, we define a set of five benchmarks models compatible with all present bounds and examine their direct detection prospects at planned experiments. A generic feature of this model is that both particles give rise to observable signals in 1-ton direct detection experiments. In fact, such experiments will be able to probe even a subdominant dark matter component at the percent level. Planck collaboration, P.A.R. Ade et al., Planck 2013 results. XVI. Cosmological parameters, Astron. Astrophys. (2014) [arXiv:1303.5076] [INSPIRE]. 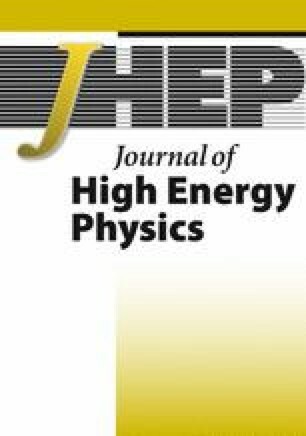 T. Hambye, F.-S. Ling, L. Lopez Honorez and J. Rocher, Scalar Multiplet Dark Matter, JHEP 07 (2009) 090 [Erratum ibid. 1005 (2010) 066] [arXiv:0903.4010] [INSPIRE]. A. Semenov, LanHEP - a package for automatic generation of Feynman rules from the Lagrangian. Updated version 3.1, arXiv:1005.1909 [INSPIRE]. H. Silverwood, C. Weniger, P. Scott and G. Bertone, A realistic assessment of the CTA sensitivity to dark matter annihilation, arXiv:1408.4131 [INSPIRE].